Reading what actual patients say about the results of their plastic surgery is one of the best ways to measure a surgeon's success. 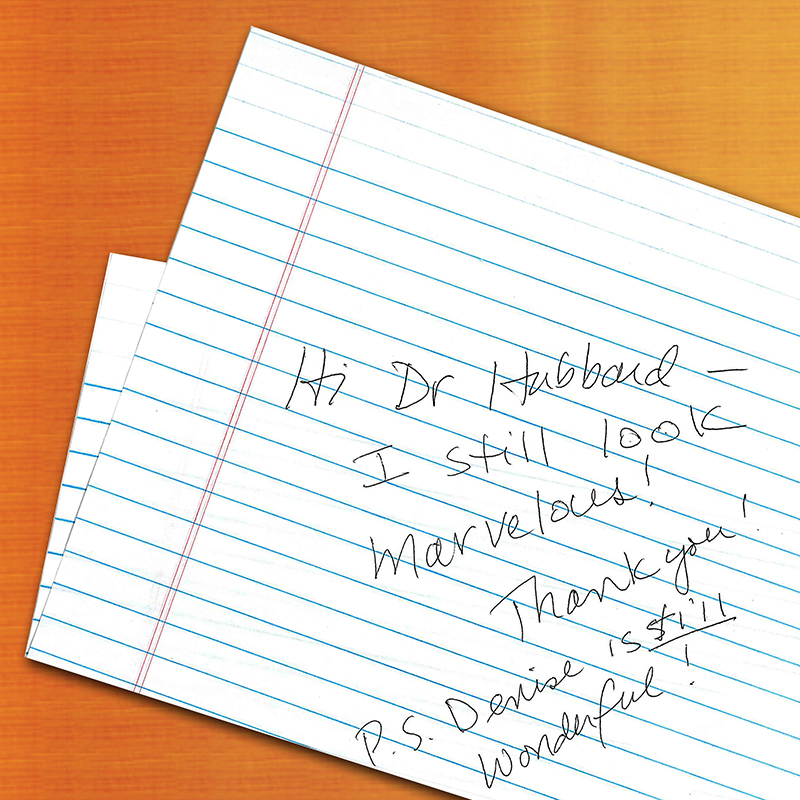 The glowing compliments and expressions of gratitude that patients have for Dr. Thomas Hubbard, a plastic surgery specialist in Virginia Beach, are a testament to his skill and experience, as well as that of his entire team. You can read some of those comments below, and then request a consultation online to meet Dr. Hubbard and the staff at Hubbard Plastic Surgery & Skin Enhancement. Or call our office at (757) 600-6227 to schedule an appointment. "The difference between ordinary and extraordinary is that little extra. You have what it takes." 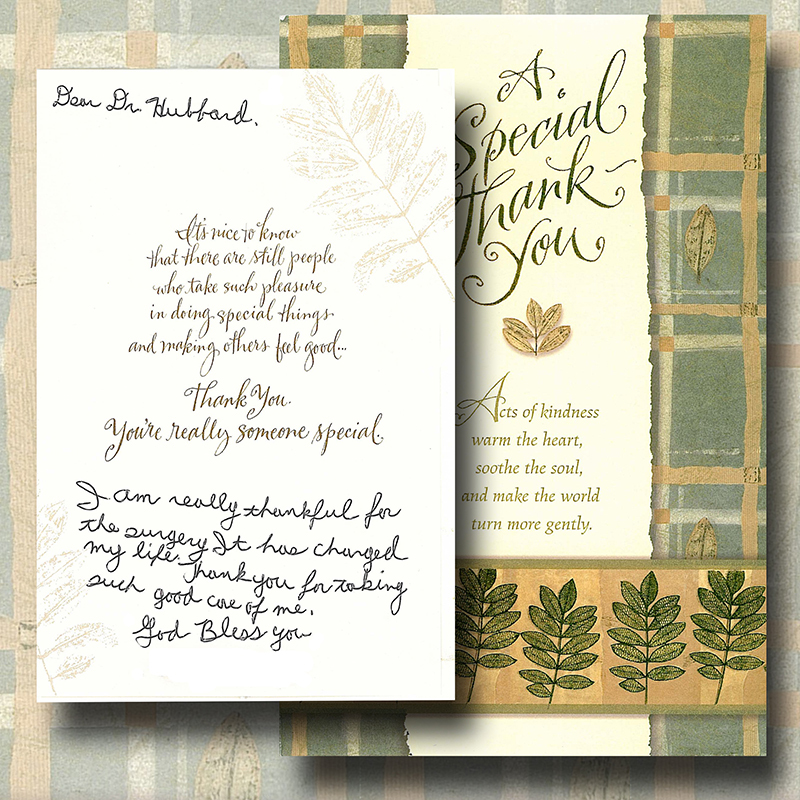 "I would like to thank all of you at Dr. Hubbard's practice. This was a great experience. I would do it all over again. I love my results. I am so happy." 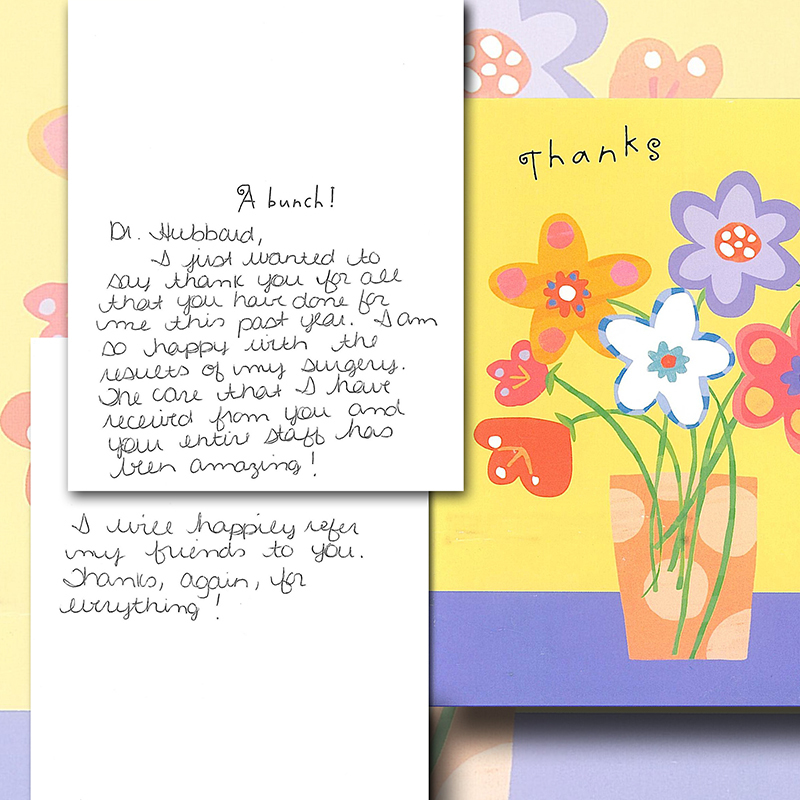 "Thank you so much for your caring support through my surgeries. I'm thoroughly enjoying my new body." "I thank you once again! You truly changed my life. I would suggest you to anyone. If anyone is hesitant, tell them I said it is so worth it. You are a wonderful surgeon, even though I look to you as a magician." "I can't thank you enough for taking your time and giving your talent. It is very kind of you and I know that I'm very fortunate." "Thanks for taking such good care of me during my recent surgery. I am so pleased with the results." "My results were better than expected! I can't say enough on how well I was treated. From Maria to all of the nursing staff. Having been treated in such a kind and understanding way made this whole experience a more relaxed and comfortable one." "I first saw Dr. Hubbard on television and he seemed so honest and down to earth. I called the Mladick Center and they told me he was the nose expert. After I met him I knew I could trust him. 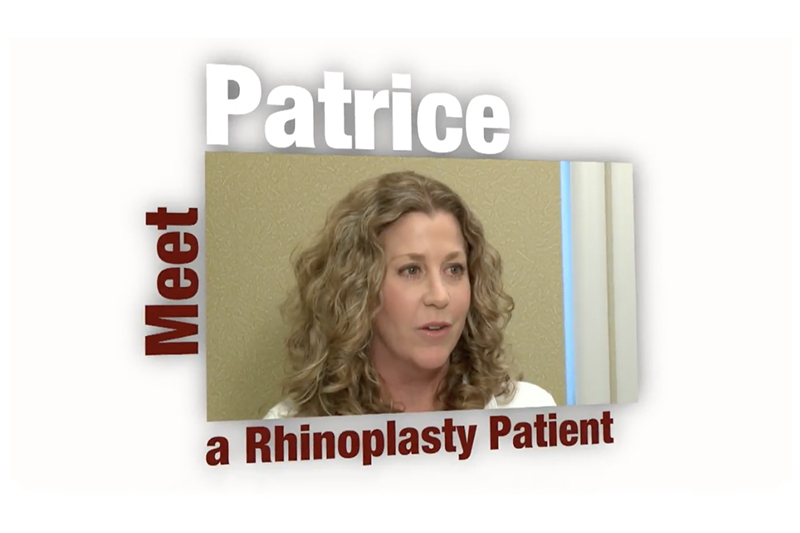 I am so happy with my surgeries (rhinoplasty, facelift, abdominoplasty) that I tell everyone I know to go see Dr. Hubbard." "Thank you for doing such wonderful work on my nose. I am still tickled every time I look in the mirror or when I smile for the camera. " 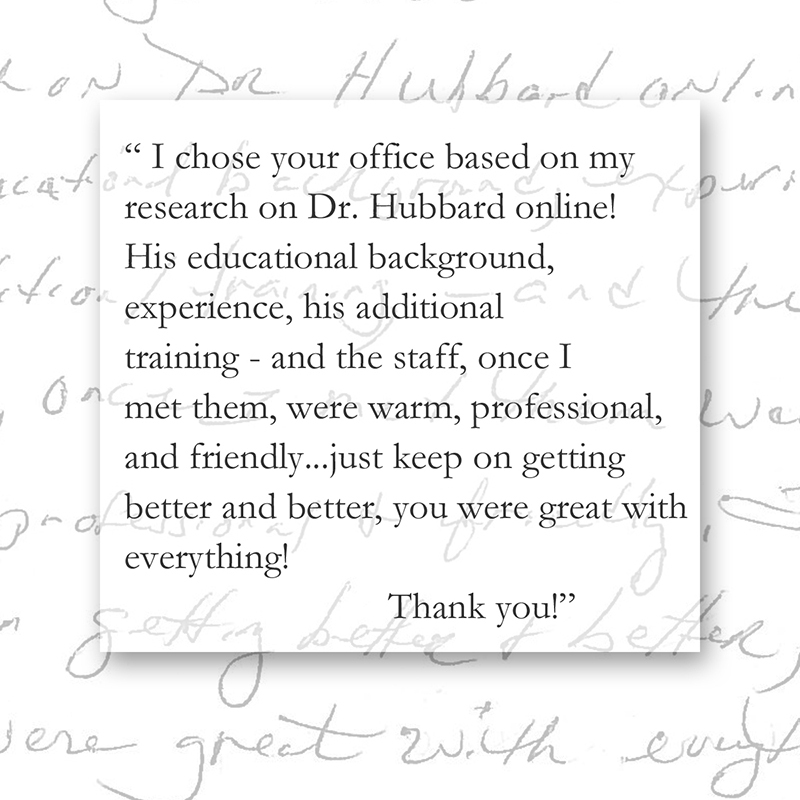 "Dr. Hubbard is fantastic! Excellent work, kind helpful, and easy to discuss concerns with. Highly recommended to my friends and I will visit him again! Awesome result! Very clean lines. Nice work! The nurses are kind, funny and easy to talk to. Dr. Hubbard is professional, kind, and involved in the whole process which is most comforting and respectable. I didn't feel passed around or less important than other duties or patients. Thanks to everyone for taking time to make me feel comfortable, important, and welcome. It was a great experience." "I thank you for the wonderful job you have done on my nose. I truly love it. It would be a pleasure to help others as I myself had a hard time deciding, it took eight years, but I did it! 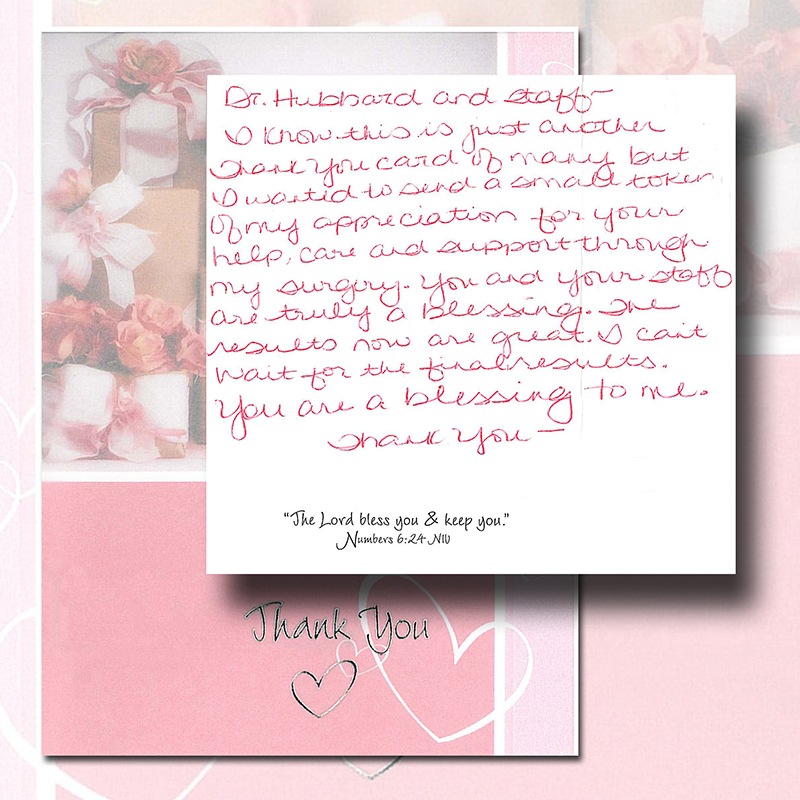 I thank you and your staff for being so concerned for my well-being." "Thank you for your thorough examination, your wise counsel and your explanation of benefits (of surgery)." "Breast augmentation has been a great decision for me. My breasts are so normal! I don't notice the implants are there. I can hardly see the scars. I have incredible trust in Dr. Hubbard." "Thank you so much for your compassion and art of sculpting one's life. I am so happy with the results of your healing hands." "What an incredible wonderful experience. 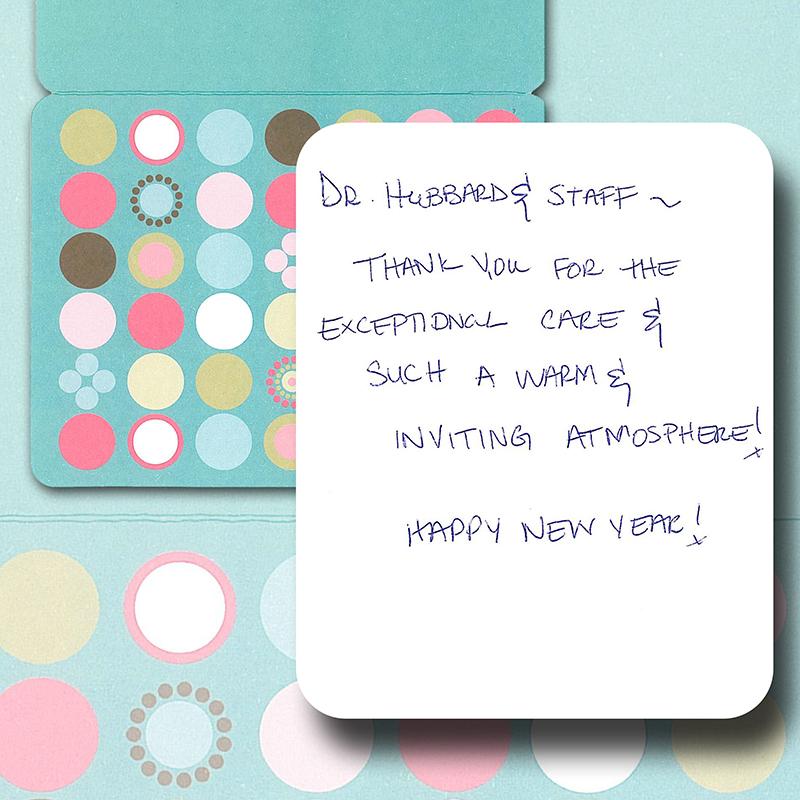 Dr. Hubbard and his staff are truly the best!!! Would highly recommend them. Dr. Hubbard really listens to his patients!!!" 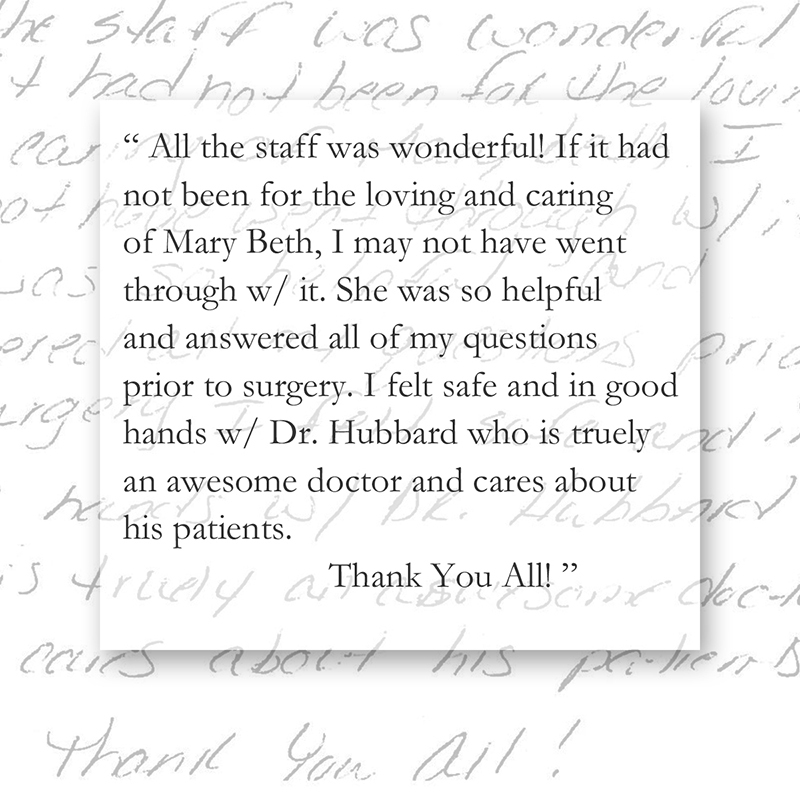 " Dr Hubbard was absolutely awesome from pre-surgery to post-surgery. Like most, I was very nervous!! Dr Hubbard and his staff made me feel so welcome and understood, I'd even say they made me feel "at home". My results are fantastic and I know if I had any future concerns Dr Hubbard would address them and handle them with the utmost professionalism. I now go for facial injectables like fillers and Botox and am a very satisfied patient. I can't imagine going anywhere else and feeling the comfort level I feel in Hubbard Plastic Surgery. " " EXCELLENT EXPERIENCE!! I was the patient to ask Dr. Hubbard and his staff 100 questions during the process of deciding, pre-surgery, and post-op, and every question I had was received and addressed very kindly and completely by each person there. The entire process for me was a very good experience, and I credit that to the high level of integrity, excellent customer care, and true dedication to serving people that Dr. Hubbard and his entire staff practices. My husband and friends that have been under the care of Dr. Hubbard have been more than happy with the service and prices they have received as well. In fact, all of them have been repeat customers of Dr. Hubbard's, and I am planning my future procedures with him as well. " These testimonials represent quotes from actual patients of Dr. Hubbard but do not imply any warranty or guarantee of individual results.